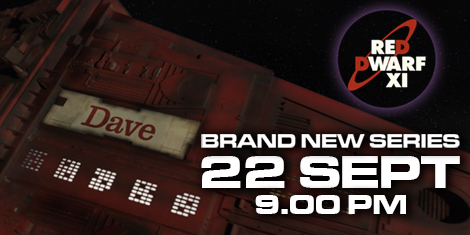 The Red Dwarf XI broadcast dates you've been waiting for. So, let's recap. 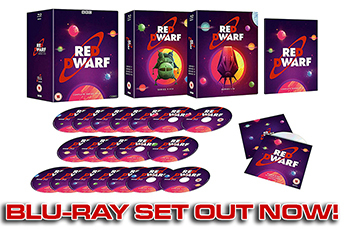 You know there are six new episodes of Red Dwarf landing on Dave. You know their names. You know they're arriving in September. But you're waiting, still agonisingly waiting, to find out on exactly which day you can finally start watching Series XI. We know, it's tense. We can feel it. That's right: we're now less than six weeks away from new Red Dwarf. Drink that feeling in. But do you want some even better news? Because actually, we're less than five weeks away from new Red Dwarf. Wait, what? Why? Well, it's all thanks to something called UKTV Play. You may have seen us mention it before, but UKTV Play is the exclusive online on-demand platform for all the UKTV channels - from Gold, to W, to Really, and including (of course) good old Dave. 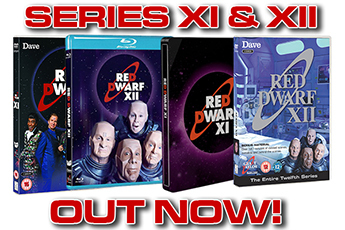 Just as with Series X, each episode of Red Dwarf XI will be available to stream on the service, entirely free to UK and Republic of Ireland residents. But in a novel twist that has been trialled with some other Dave shows recently, new Red Dwarf will preview online a week before its UK transmission. Which means that you can actually see the premiere of RDXI on Thursday 15th September. All you need is an internet connection and a compatible device to access the UKTV Play service. You can watch directly on your computer at the website, or install the relevant tablet and smartphone apps from Apple and Google Play. If you're not able to get UKTV Play, or you just prefer the traditional telly-based broadcast method, then to get Dave you'll need some form of digital television platform. You can find the channel on Freeview, BT and TalkTalk channel 12, Sky 111/246, and Virgin 127/194 (Sky and Virgin offer an HD version, hence the double numbers). Viewers in the Republic of Ireland, meanwhile, can get the channel on Sky or UPC. 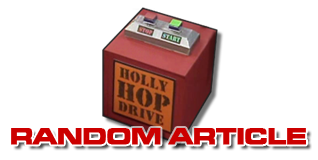 Follow @RedDwarfHQ and @UKTV on Twitter for all the latest broadcast news!